In 1428, the city council of Plasencia and the Cathedral of Plasencia agreed to solve a conflict over a perennial issue — the collection of taxes. Leading the charge were the Santa María and Carvajal families who were a collaborative group of clans that promoted new collaborations between the knight-dominated city council and the Cathedral of Plasencia’s leadership. Previously, the two distinct entities had found cooperation tenuous in light of disagreements over the church-portion of tax collections. Their success in leading these specific Plasencia city-church negotiations is particularly noteworthy because in other Castilian communities, such as Ávila and Ciudad Real, community issues like these often turned into jurisdictional battles. The agreement involved the Cathedral of Plasencia’s lease of its portion of the portazgo, or royal taxes assessed on goods passing through the city’s gates and its periphery, to the city council. Photo 1: The city gate of Trujillo (Puerta de Trujillo). The sensitive business negotiations between the city council and the cathedral were not necessarily led by the mayor and bishop, instead men from the community’s new leading families often conducted these affairs. Acting on behalf of the city council, of which he was a member, Regidor Dr. Garci López de Carvajal negotiated and finalized the city’s lease of one-third of the church’s portazgo collections with his counterpart, Gonzalo Gutiérrez de la Calleja, Treasurer of the Cathedral of Plasencia. Interestingly, Mayor Alonso Arias de Gibraleon was not the principal party who arranged the agreement. Rather, three city council men (regidores) led the effort to rent these annual tax collections from the church for the sum of 1,600 maravedis a year. The first of these three men was Dr. Garci López, who by this year was a close associate of Treasurer Gonzalo Gutiérrez (a Santa María family member). As a de facto member of the cathedral who had directly benefited from Bishop Santa María’s favor and patronage, the doctor had a favorable opinion and affinity for the Cathedral of Plasencia. Adding his voice to the acceptance of this agreement was the elder caballero (knight) and regidor (city councilman), Gutierre Gutiérrez de Trejo. His presence and his expressed approval of the city-church partnership was evidence of an extraordinary transformation of caballero and churchmen relations. Less than thirty years earlier, Bishop Pedro Fernández de Soria had personally written to King Enrique II to complain about Gutierre Gutiérrez’s recalcitrance and failure to pay diezmos in 1396. 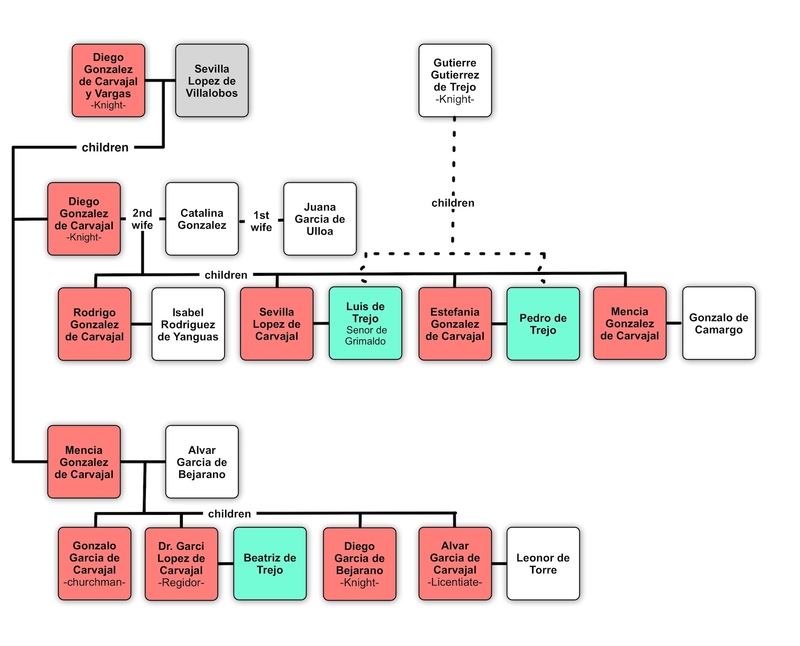 The Carvajal family proved that the caballeros and the cathedral could co-exist and thrive, as the clan’s own members had set aside their past conflicts with the church and now secured canonships and other cathedral benefits. The many Carvajal family members surrounding Gutierre Gutiérrez de Trejo likely helped spur and gain his acquiescence to the agreement. After all, the Carvajals hailed from similar caballero stock. Dr. Garci López de Carvajal’s father, grandfather, and brother, Diego García de Béjarano, were all caballeros. The Carvajal family, especially Diego García who had his own brush with excommunication by Bishop Vicente Arias de Balboa, remembered and understood the Plasencia knights’ troubled past with the church. From the perspective of Gutierre González de Trejo, the new leadership of the Cathedral of Plasencia, led by the Santa María and Carvajal clans, must have appeared less threatening. Potentially, the church could even be a long-term partner of the caballeroclans. Personal family relationships also likely influenced Gutierre Gutiérrez de Trejo. (See Figure 1: Extended Carvajal and Trejo Family Relations.) As two of his four sons married daughters of Diego González de Carvajal, the uncle of Dr. Garci López de Carvajal. Those couples included Luis de Trejo who was married to Sevilla López de Carvajal and Pedro de Trejo who was married to Estefania González de Carvajal. The proximity of these relations could only have further helped convince Gutierre Gutiérrez de Trejo that the portazgo lease was favorable for all parties to the agreement. Because several local families participated on both the city council and cathedral chapter, the portazgo contract was more than an institutional agreement, it was also an inter-familial accord. The final member of the city council’s leaders that negotiated the arrangement with the church was Alfonso Fernández de Logroño. Like the Carvajals his family had a close association with the church. Pedro Fernández de Logroño, a family member of Alfonso Fernández, served as a prebendary in the cathedral chapter. Thus, the relationship between the three city councilmen and Treasurer Gonzalo Gutiérrez de la Calleja likely helped them to advance the portazgoagreement. 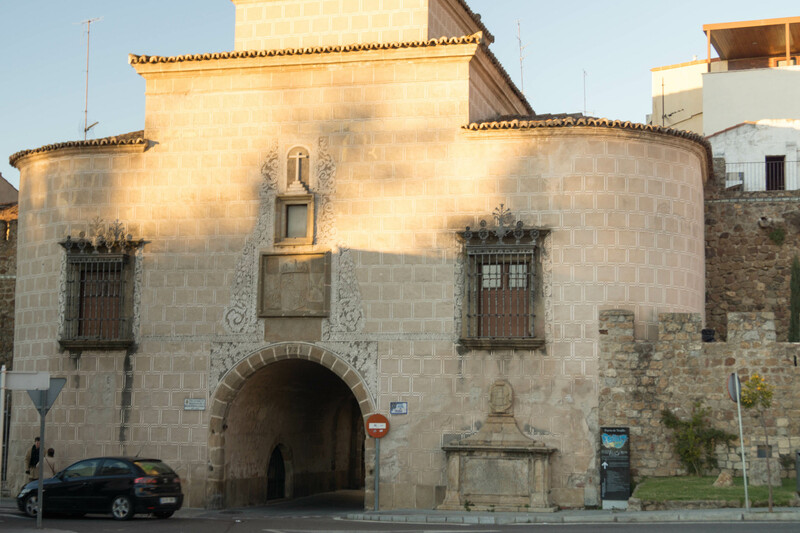 These families, especially the Carvajal-Santa María confederation, were part of a restoration of church and city relations that had not existed since 1385, the last year the two parties had consented to a similar portazgo contract. Bilinkoff, The Ávila of Saint Teresa, 24-27; Phillips, Ciudad Real 1500-1700, 98. Vaquero, Diccionario de Historia Eclesiástica de España, s.v. “Diezmo,” by G. Martínez; Joseph F. O’Callaghan, The Cortes of Castile-León 1188-1350 (Philadelphia: University of Pennsylvania Press, 1989), 51, 144-145; Stanley G. Payne, A History of Spain and Portugal, Volume II (Madison: University of Wisconsin Press, 1973), 282. Ibid. ; ACP Actas Capitulares Tomo 1 (1399-1453) Traslado, Folios 29v, 35-35v. ACP Legajo 282, Documento “Real Provisión de D. Enrique Espana que los Sres. de los lugares no impidan el arrendamiento de los diezmos obtenida a instancia del Sr. Obispo D. Pedro…” unfoliated ; ACP Extractos del inventario de los papeles del archivo, Tomo 3, Documento 338. ACP Legajo 143, Documento 3; ACP Legajo 14, Documentos 38, 48, and 56; ACP Legajo 14, Documento 25. Additionally, it appears that Francisco de Trejo, another son of Gutierre Gutiérrez de Trejo, was married to another Sevilla López de Carvajal. Sevilla’s pedigree cannot be established, but she may have been the same woman married to Luis de Trejo. Perhaps, Luis de Trejo died earlier in life and Sevilla remarried his brother, Francisco de Trejo. See ACP Legajo 13, Documento 24. ACP Actas Capitulares Tomo 1 (1399-1453) Traslado, Folio 252. ACP Legajo 270, Documento 18.